The deserted railroad town had a last gasp as a ghost town attraction before being abandoned for good. 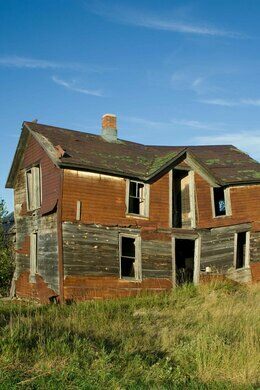 Just off Interstate 90 is a chilly but picturesque ghost town that was born and died with the railroad built nearby. 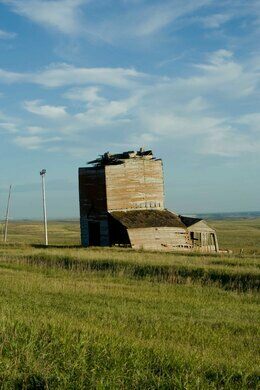 But Okaton is not your average prairie ghost town. Along with the collapsed houses, rusting farm equipment, and overgrown railroad tracks that haven’t been used in decades, it shows signs of its brief attempt to capitalize on being a ghost town. 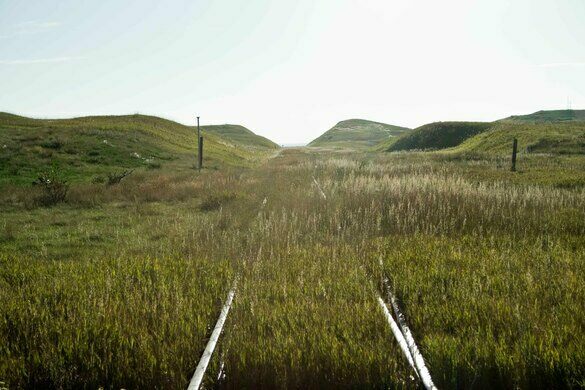 Okaton sprang up in 1906 as a place for railroad workers to live. When the railroad tracks moved along, so did the workers. 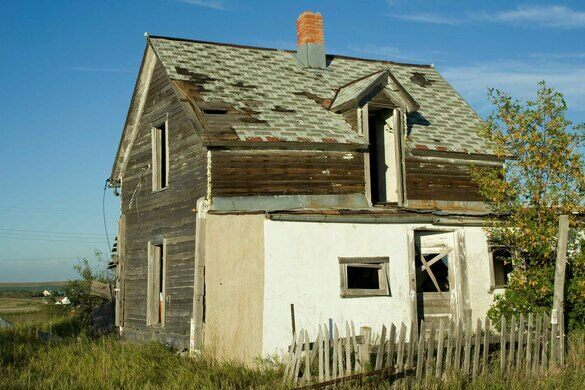 The harsh winters of South Dakota have driven even the hardiest residents away over the years. When the tracks ceased to be used in the 1980s, that was another major blow, even with I-90 so close. There are several ruined and collapsed houses, an abandoned school, and the overgrown railroad tracks. The grain elevator, which used to read “Okaton Grain Co.,” was repainted to read “Bingo Grain Co.” for production of a movie that was never released. Rusting farm equipment and rickety fences dot the land. According to the 2010 census, there were 36 people living in Okaton at last count, but most of them seem to live on farms outside of town. The town itself is virtually abandoned. Okaton is a very small town, with only five streets. It is reportedly a very creepy place to visit, even in the middle of the day, but amazingly photogenic. Look for exit 183 on Interstate 90 just west of Murdo. Buildings may be abandoned, but they are private property.